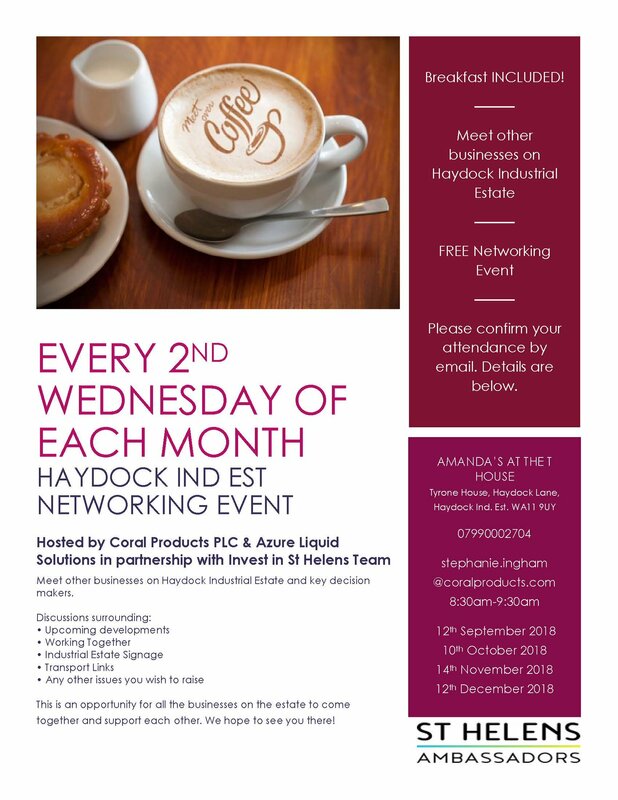 Invest in St Helens attended September’s Haydock Industrial Estate Networking event today (12th September). It was fantastic to meet with businesses from the estate to discuss forthcoming developments and encouraging businesses to work together. All the meetings are held at ‘Amanda’s At The T House’ at 8.30am-9.30am. Contact stephanie.ingham@coralproducts.com if you wish to attend the next meeting.